How to Train Your Dragon: The Hidden World is an American computer-animated action fantasy film, created as a final instalment of the series. Following the events of the second part, peace is restored in Berk with Hiccup as the new ruler & chief, who also created a chaotic dragon utopia. 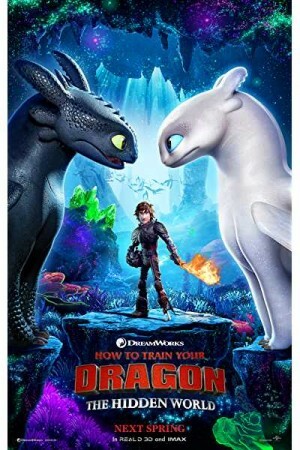 Berk gets overpopulated and a new Night Fury named Lady Fury appears pushing Hiccup to search for a hidden haven for dragons, known as the Hidden World. However, a hired tyrant Grimmel is also on the hunt for the dragon land with a purpose of using dragons for evil motives. The movie reveals how Hiccup discovers the new land and fights Grimmel to protect dragons.